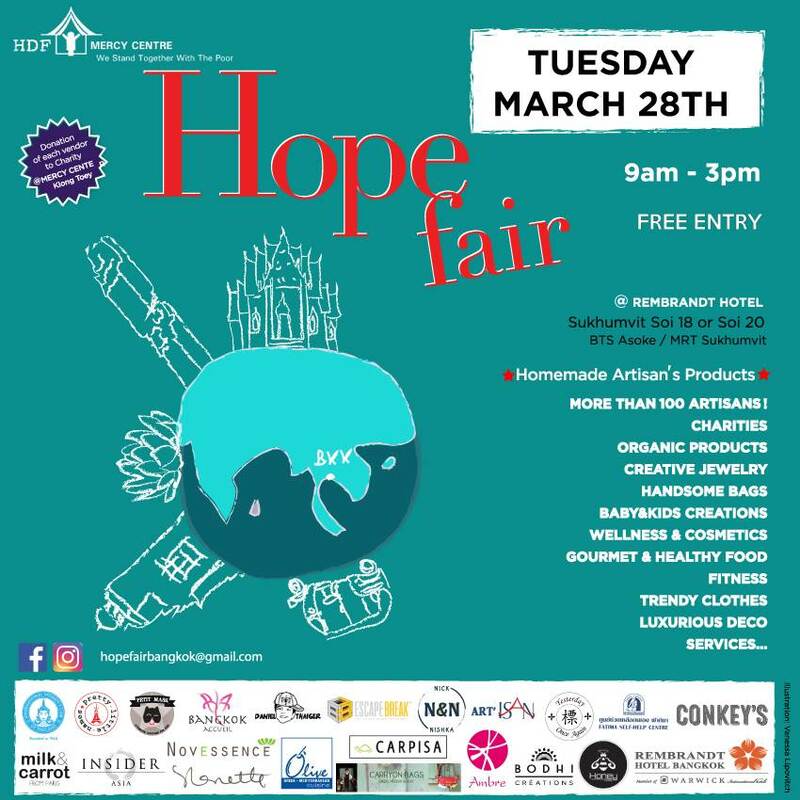 The next HOPE FAIR will be held on MARCH 28th, 2017 @ the Rembrandt Hotel on Sukhumvit Soi 18. More than 100 artisans, craft makers, chefs, and delicatessens will have their goods exclusively available for this unique event. The Hope Fair was created in 2014 on the principle of community, and to help make Bangkok a smaller megalopolis. It is a unique fair where clients can talk directly to the suppliers, creators and makers. The Hope Fair vendors are selected by their story, their product, and what they can offer the community. Many of products are home or hand made with love, purpose and passion. Foods are mainly organic, healthy and natural. Cosmetics and heath products made from natural ingredients will be available, as well as wellness and healthy lifestyle tips. The kids are not forgotten with a selection of educational games, trendy clothes, fun costumes, and amusing activities available. All the participating vendors donate to the Mercy Centre of Klong Toey. In the Bangkok slum, the Mercy Centre is a shelter for street kids with five orphanages, a hospice, a home for mothers and children with HIV/AIDS, and a serene haven in the slums. The Hope Fair community, with the support of the Rembrandt Hotel, has since its creation raised more than 300 000 THB and will continue to do so. The Hope Fair is also an opportunity to clean out your closets and bring to the event your donation of Kid's clothes, toys, shoes, household products, as well as clothes for adults or any other stuff which could help the children in the orphanage and adults in the Klong Toey community.. 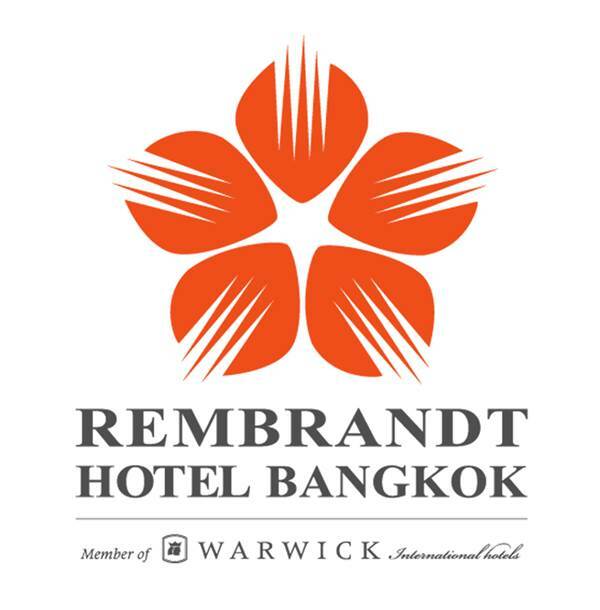 The Rembrandt Hotel is located in Sukhumvit Soi 18.The hotel can also be accessed from Soi 20. Close to BTS and MRT stations Asoke.The Hope Fair is held in the ball room, on the 2nd floor.